But what is holistic nutrition? Holistic means to look at the WHOLE! To look at the signs and symptoms alone, without looking at the whole picture, may just mask what is really going on. By looking at the body as a whole, how all of the body systems work together and the impact an individuals lifestyle and environment has on their health, can provide a better understanding of the root cause. Knowing the root cause and making appropriate changes, can create better overall health outcomes. A holistic approach to health and wellbeing recognises that not every “BODY” is the same, we are all unique and there is no one ‘diet’ or ‘magic pill’ that has the ability to ‘fix’ or ‘cure’. Quiet often there is imbalance, inflammation, dysfunction or nutritional deficiencies, underlying the physical signs and symptoms preventing optimal health and wellbeing. SO HOW DOES NUTRITION PLAY A ROLE IN OPTIMAL HEALTH & WELLBEING? But really what does this mean? Quiet simply it means the food we consume has the ability to nourish us, keep us healthy, and aid in the treatment and prevention of diseases and their symptoms. When we eat wholefoods from nature we are providing our bodies with the balance of macronutrients, micronutrients and phytonutrients it needs to work in its optimal state. Health after all is just this, the optimal functioning of the whole person: mind & body! And a Healthy Diet satisfies our physiological needs (energy & nutrients) while minimizing our exposure to harmful toxins/substances. Nutrients fuel all of the biochemical processes in our body, these nutrients come from the FOOD we eat. Therefore, the food that we eat (or don’t eat) has a huge impact on our bodies ability to function at it’s healthiest. Today’s western diet has brought with it not only an abundance of food choices, but a diet rich in foods and chemicals that our bodies are not equipped to deal with. Leading to nutritional deficiencies and a rise in chronic and acute diseases, illnesses and disorders. I will take the time to understand you and your current diet/nutritional intake, needs, goals, ailments, symptoms, conditions, likes, dislikes, lifestyle, support networks and environment, to tailor a health program to help you reach your goals. 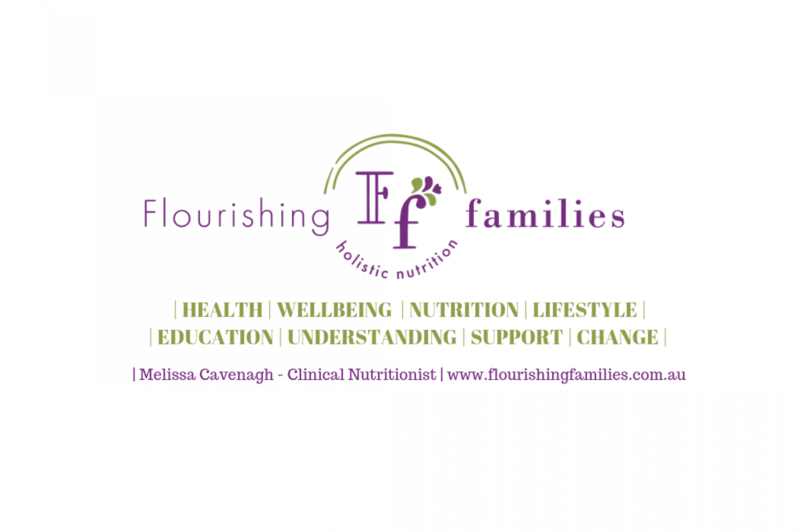 Whether it be weight loss, weight gain, hormonal imbalances, fertility concerns, mental health disorders, neurological conditions, children’s health concerns, a diagnosed health condition or general wellbeing, each treatment plan is individualised to suit you and help you flourish. For more information on how I can help you and my areas of special interest click here. For more details on consultation options click here.